Have you ever noticed how young children often go fearlessly into dangerous situations? They walk into the middle of the street without a care in the world. They pick up sharp knives without caution. Sometimes they even go right up to strangers, take their hands, and start to walk off with them — completely oblivious to the violence other people can pose. But of course, adults know that the world is full of all kinds of trouble. Natural disasters destroy life and property; diseases bring suffering; machines can harm us. And we know that perhaps the greatest dangers of all are those posed by other people. Men and women commit violent acts of assault, murder, and war on their fellow human beings. If we are aware of human history, or if we are just paying attention to current events, it is nearly impossible to deny that human beings have filled this world with violence. We have entitled this lesson, "A World of Violence," and we are going to look at Genesis 4:1–6:8 where Moses described the troubles and violence that took place in the world shortly after humanity's fall into sin. In these chapters, Moses described how human beings began to fill the world with violence, and how God reacted to those troubles. We will examine three aspects of this portion of Genesis: first, we will look at the literary structure of this material; second, we will focus on the original meaning of these chapters; and third, we will explore how the New Testament teaches us to apply these passages in our own day. Let's look first at the literary structure of Genesis 4:1–6:8. These chapters in Genesis touch on a number of different topics, and include both narratives and genealogies. Now, these complexities often leave us with the impression that the chapters don't fit together very well. But when we examine this portion of Genesis more closely, we'll see that it is a carefully crafted literary work with a unified purpose. As we look at Genesis 4:1–6:8 we will see that this portion of Genesis divides into two main sections. The first section consists of 4:1-5:32, and we have entitled it "early violence and hope." The second section consists of 6:1-8, and we have called it "later violence and hope." The early scenario of violence and hope of deliverance in Genesis 4 and 5 divides into four parts, and these parts form two parallel sets of narratives and genealogies. Chapter 4:1-16 forms a narrative which parallels a second narrative in 4:25-26, and 4:17-24 forms a genealogy which corresponds to a second genealogy in 5:1-32. We will examine these materials by exploring some of the relationships between the corresponding narratives, and then we will give attention to the parallels between the two genealogies. In the first place, Moses began by writing a story about sinful Cain in 4:1-16. This passage is the well-known record of the time when Cain broke into a fit of jealous rage and murdered his brother Abel. When we look more closely at this passage, it becomes apparent that it divides into five dramatic steps. The story begins with Cain and Abel living together harmoniously in verses 1-2a. Even so, when we turn to the end of the narrative in verse 16, we find a very different circumstance. Cain is alone, banished from the good land, from his family and from God's special presence. The second step of the story, found in verses 2b-7, touches on the events that led Cain to murder Abel, specifically the distinction between the sacrifices each offered to God. Put simply, God was pleased with Abel's sacrifice, but he rejected Cain's sacrifice. God also warned Cain about the power of sin seeking to master him, but Cain paid no attention. The third section of this narrative, verse 8, forms the turning point of this story. In this section, Cain murdered his brother Abel. Cain and Abel went away from the place of sacrifice into a field, and there, just as God had warned, sin mastered Cain and turned him into the first murderer in human history. The fourth section of this narrative appears in verses 9-15 and describes the curse and protection God gave to Cain. God placed a curse on Cain by banishing him to wander far from the land of Eden, but he also protected him from being attacked by other people. So we see that Genesis 4 and 5 begin with the story of Cain's terrible sin. He was so corrupted by sin that he actually murdered his righteous brother Abel, and as a result, he was destined to live far from the place of God's blessing. Now that we have seen the structure of the opening narrative of Genesis 4 and 5, we should turn to the second narrative which appears in these chapters, the corresponding account in 4:25-26. This passage turns attention away from sinful Cain to Adam's third son, righteous Seth. At that time men began to call on the name of the Lord (Genesis 4:26b). Put simply, Seth and Enosh were men who called out to God in prayer. In contrast with sinful Cain, these men were righteous before God and they demonstrated this righteousness through faithful worship and prayer. With the basic contrasts of these parallel narratives in mind, we should now turn to the parallel genealogies in chapters 4 and 5. The genealogies of Genesis 4 and 5 often seem to be little more than obscure records of biological descent, and for this reason, many interpreters overlook their importance. Yet, a closer look at the genealogies reveals that they contain vital information that served Moses' purposes in writing this portion of his primeval history. On the one hand, the first genealogy records Cain's sinful lineage in 4:17-24. In these verses, Moses listed a number of Cain's descendants, and reflected on how sin had turned this family into a proud, boastful, and threatening clan. The second genealogy consists of Seth's righteous lineage in 5:1-32. In this passage, Moses recorded a number of important names in Seth's family. Yet, in contrast with the line of Cain, this family continued to be righteous and faithful. Cain was then building a city, and he named it after his son Enoch (Genesis 4:17). Enoch walked with God; then he was no more, because God took him away (Genesis 5:24). It would be hard to imagine a more striking contrast between two men than we find here between the sinful Enoch and the righteous Enoch. In addition to the contrasts set up between the two men named Enoch, Moses also mentioned a Lamech in Cain's line and a Lamech in Seth's line. Once again, strong contrasts stand out between these two men. On the one hand, Cain's Lamech was a horrible figure. Genesis 4:23-24 report that Lamech was a murderer, and took great pride in his murderous exploits. [Lamech] named him Noah and said, "He will comfort us in the labor and painful toil of our hands caused by the ground the Lord has cursed" (Genesis 5:29). As was the custom in biblical times, Seth's Lamech named his son as a prayer to God, expressing the hope that his son Noah would bring deliverance from the terrible condition of life which began when God cursed the ground in the days of Adam and Eve. Now that we have noticed how Genesis 4 and 5 convey a pattern of early violence and hope of deliverance, we should turn to the second scenario of violence and hope as it appears in Genesis 6:1-8. When we look more closely at these verses, it becomes apparent that 6:1-8 divide into three steps: first, verses 1-3 concern characters known as the "sons of God"; second, verses 4-7 focus on other characters known as the "Nephilim"; following these two steps, Moses added an afterword in verse 8 mentioning Noah once again, the man in whom there was hope of deliverance. The two main steps of these verses describe a series of threatening events that took place on earth, and then reveal how God reacted to these events. Let's look first at the threat of the sons of God and at God's reaction in 6:1-3. The sons of God saw that the daughters of men were beautiful, and they married any of them they chose (Genesis 6:2). Moses did not explain precisely who these sons of God and daughters of men were. Apparently, he expected his original readers to understand what he meant. But it has been impossible for modern readers to settle the identities of these characters beyond question. In the history of interpretation three reasonable identifications have been suggested. First, the sons of God may be Sethites who married women descended from Cain. This interpretation has some merit because of the contrasts set up between the Cainites and Sethites in chapters 4 and 5 of Genesis. A second option is that the sons of God may be angels, and the daughters of men were mere humans. This view also has some merit because angels are often called "sons of God" in the Old Testament in passages like Job 1:6 and Psalm 29:1. A third option is to understand the sons of God as kings or noblemen who took peasant women. This outlook has merit as well because in the Ancient Near East kings were often called sons of God, just as the son of David is called God's son in 2 Samuel 7:14 and in Psalm 2:7. Although I favor this third interpretation, we should not be dogmatic about any particular position. The sons of God … married any of [the daughters of men] they chose (Genesis 6:2). This is not ordinary language in the Old Testament for legitimate marriage, and it strongly suggests that neither the women nor their families consented to these relationships. Rather, the sons of God, who may have been powerful noblemen, forcefully took women without their consent. The language here may even mean that the sons of God actually raped these women at will. In all events, the violence exemplified earlier in the exploits of Cain and his descendants reached another area of life — the violation of women. My Spirit will not contend with man forever, for he is mortal; his days will be a hundred and twenty years (Genesis 6:3). God grew tired of the ways sin continued to bring violence to the human race, and declared that he would not tolerate this corruption forever. Nevertheless, God graciously determined to allow humanity another one hundred and twenty years before executing his judgment. A second set of actions on earth and divine reaction appears in Genesis 6:4-7, the account of the Nephilim. The Nephilim were on the earth in those days — and also afterward — when the sons of God went to the daughters of men and had children by them. They were the heroes of old, men of renown (Genesis 6:4). Now, some older Bibles simply follow the Septuagint and translate the Hebrew word "Nephilim" as "giants." But this translation is unfortunate because it does not convey the connotations of the word. Scholarly opinion is divided over the precise meaning of the term, but it is most likely that it refers to strong warriors or warlords. The Lord saw how great man's wickedness on the earth had become, and that every inclination of the thoughts of his heart was only evil all the time (Genesis 6:5). The Lord was grieved that he had made man on the earth, and his heart was filled with pain. So the Lord said, "I will wipe mankind, whom I have created, from the face of the earth — men and animals, and creatures that move along the ground, and birds of the air — for I am grieved that I have made them" (Genesis 6:6-7). God saw how the Nephilim terrorized his world, and determined that it was time to intervene with massive, worldwide destruction. Noah found favor in the eyes of the Lord (Genesis 6:8). In these few words, Moses completed the scenario of threat and hope of deliverance. The destruction of violent, sinful humanity through the flood would actually result in a deliverance for future generations. From our explorations of the literary structures of Genesis 4:1–6:8, we see that these chapters in Genesis focus on two major issues: first, they focus on the threat of violence from those who rebelled against God in the days of Cain and his descendants; second, they focus on the threat of sinful people in the days of the sons of God and the Nephilim. In both cases, however, Moses indicated that God would bring deliverance through the one special son of Seth, the man named Noah. Now that we have seen the basic structure and central concerns of this portion of Genesis, we are in a position to ask a second question. What was the original meaning of these chapters? What was Moses communicating to the Israelites as he led them from Egypt to the Promised Land? To grasp the original meaning of this portion of the primeval history, it will help to consider two matters: first, we will see how Moses connected this portion of his primeval history to Israel's experience; and second, we will explore the implications of these connections for Moses' original Israelite readers. Let's look first at the ways Moses connected these chapters to the experiences of the Israelites whom he was leading. Moses related these chapters of his primeval history to his contemporary world by describing the violence of early human history in ways that closely resembled the experiences of violence which Israel had endured. By doing so, he pointed out that the troubles which Israel faced were very similar to the troubles of the primeval world. Now, to explore how Moses established these similarities, we will look once again at the two major sections of Genesis 4:1–6:8, the first scenario of early violence and hope of deliverance in chapters 4 and 5, and the second scenario of later violence and hope of deliverance in 6:1-8. Let's look first at how Genesis 4 and 5 connected to Israel's experience. As we look at the characteristics of the wicked and righteous in Genesis 4 and 5, it becomes apparent that Moses shaped this material so that his readers would associate Cain and his family with the Egyptians, and so that they would associate righteous Abel, Seth, and the Sethites with themselves as the people of God. Now, how did Moses build these connections? We should begin by examining the story of sinful Cain in Genesis 4:1-16. In this story, Moses focused on at least five concerns that allowed the Israelites to connect this passage to their own day. In the first place, Moses mentioned the occupations of Cain and Abel to create these associations. Now Abel kept flocks, and Cain worked the soil (Genesis 4:2). When Pharaoh calls you in and asks, "What is your occupation?" you should answer, "Your servants have tended livestock from our boyhood on, just as our fathers did." Then you will be allowed to settle in the region of Goshen, for all shepherds are detestable to the Egyptians (Genesis 46:33-34). Joseph's instructions here give us insight into why Moses mentioned that Cain was a farmer and Abel a shepherd. He wanted his Israelite readers to associate Cain, the agriculturalist, with the Egyptians, and he wanted Israel to associate themselves with Abel, the victimized shepherd. Cain brought some of the fruits of the soil as an offering to the Lord. But Abel brought fat portions from some of the firstborn of his flock (Genesis 4:3-4). Notice the way Moses described the sacrifices. In verse 3 he said that Cain offered "some of the fruits of the soil," but in verse 4 he wrote that Abel offered "fat portions from some of the firstborn of his flock." This distinction is very important. Cain simply brought whatever fruits of his field he happened to gather. His worship was nominal at best because he did not reserve the best of his crop for God. But Abel fulfilled the law of God with a sincere heart by bringing the fat portions (which were highly prized for Old Testament sacrifices) from among the firstborn of his flocks (which were the most highly prized animals according to the Law of Moses). Cain's sacrifice was little more than an insincere ritual. But by contrast, Abel offered sincere devotion to God. The God of the Hebrews has met with us. Now let us take a three-day journey into the desert to offer sacrifices to the Lord our God (Exodus 5:3). Moses and Aaron, why are you taking the people away from their labor? Get back to your work! (Exodus 5:4). So we see that just as Cain had dishonored God with his nominal sacrifices, the Egyptians did not offer true worship to Israel's God. Yet, just as Abel offered sincere and acceptable sacrifices, so the Israelites sought the true worship of Yahweh. In this way, Moses established another association of Egypt with Cain, and of Israel with Abel. A third way Moses created connections with Israel's experience was through the motif of murder. Cain murdered his brother Abel, and the significance of this event becomes evident when we remember the murders of the Israelites that took place in Egypt. In Exodus 1 and 2 we read that the Egyptians not only overworked the Israelites, but actively murdered many of them, including their infant children. In this way Moses developed still more associations between Cain and the Egyptians, as well as between Abel and the Israelites. Now you are under a curse and driven from the ground… When you work the ground, it will no longer yield its crops for you (Genesis 4:11-12). The land you are entering to take over is not like the land of Egypt, from which you have come, where you planted your seed and irrigated it by foot as in a vegetable garden. But the land you are crossing the Jordan to take possession of is a land of mountains and valleys that drinks rain from heaven. It is a land the Lord your God cares for (Deuteronomy 11:10-12). God sent Cain to a place far from Eden, to a place like Egypt, where farming required much effort. This fact was another way in which Moses' Israelite readers were to associate Cain with the Egyptians. If anyone kills Cain, he will suffer vengeance seven times over (Genesis 4:15). God protected Cain from harm even though he was a murderer. Once again, we see that Moses described these events so that Israel would associate them with their own experience in Egypt. God had given great protection to Egypt. Even though they were murderous and deserved divine judgment, for a long time God extended special protection to Egypt. So we see that in at least five ways Moses established meaningful parallels between this primeval period and Israel's exodus experience. The themes of occupations, worship, murder, location, and protection all indicate that Moses wanted his Israelite readers to apply this story to their lives by associating Cain with the Egyptians, and by associating Abel with themselves as the people of God. Now that we have seen the associations established in the story of sinful Cain, we should turn to the parallel narrative concerning righteous Seth in Genesis 4:25-26. At that time men began to call on the name of the Lord (Genesis 4:26). Moses mentioned this fact about Seth and his son so that his readers would identify themselves not only with Abel, but also with Seth, Adam's son who replaced Abel. Say to the Israelites, "The Lord (in Hebrew, "Yahweh"), the God of your fathers — the God of Abraham, the God of Isaac and the God of Jacob — has sent me to you." This is my name forever, the name by which I am to be remembered from generation to generation (Exodus 3:15). Although the biblical record indicates that the name Yahweh was used from the time of Seth, during the time of Moses, this name became the principal name used for God. For this reason, faithful Israelites under Moses' leadership would have associated themselves with righteous Seth. Like him, they also cherished the name Yahweh. In the second place, the Israelites should have associated themselves with Seth through the theme of prayer. This motif also appears in Genesis 4:26 where Moses wrote that Seth's family "began to call on the name of the Lord." In the Old Testament "to call on the name of the Lord" often meant to cry out for divine help in a time of trouble or need. In this light we can see that Moses drew a second connection to Israel in his own times. From the rest of the Pentateuch, we learn that in the Exodus from Egypt, Israel called on Yahweh for help during many crises, much like Seth and Enosh had called on him. So we see that the Moses designed the narratives about sinful Cain and righteous Seth to form parallels with his contemporary world. He wanted his readers to notice that the Egyptians were like Cain. He also wanted his readers to see that they themselves were like Abel and Seth. With these basic connections in mind we are in a position to turn to the genealogy of Cain and the genealogy of Seth. As we will see, Moses also shaped these genealogies so that the Israelites would continue to associate the Egyptians with the wicked and themselves with the righteous. To further his main purpose, Genesis 4:17-24 characterizes the line of Cain in ways that drew indisputable associations with Egypt. These connections appear in at least six ways. Cain was then building a city (Genesis 4:17). Needless to say, the Israelites knew all too well that the Egyptians were great city builders — building cities for the Egyptians had been part of what the Israelites did as they were slaves in Egypt. For this reason, these words about Cain would have created strong associations with the Egyptians. [The Egyptians] put slave masters over [the Israelites] to oppress them with forced labor, and they built Pithom and Rameses as store cities for Pharaoh (Exodus 1:11). The city Rameses was named in honor of the Pharaoh Rameses. Just like Cain, the Egyptians also named cities after themselves for their own glory and honor. In this way, Cain's genealogy established another connection between Cain and the Egyptians. I have killed a man for wounding me (Genesis 4:23). Lamech's boasting of his atrocities should also have associated Lamech with the Egyptians in the minds of ancient Israelites. The Israelites would have been quite aware that many ancient Egyptian inscriptions praised the Pharaohs and their armies for their murderous exploits. a young man for injuring me (Genesis 4:23). The Hebrew term translated "young man" here is yeled, which is often translated simply "boy." One of Lamech's victims was in all likelihood little more than a child. As we all know, in the first chapter of the book of Exodus, Pharaoh ordered the death of Israelite boys. Like Cain's Lamech, the Egyptians struck out against the defenseless of Israel, against their male children. then Lamech seventy-seven times (Genesis 4:24). Just as Lamech thought that God protected him, the Pharaohs of Egypt were confident of protection from their gods. As a matter of fact, it had certainly appeared for many years that the Egyptians enjoyed more and more protection from harm. Jabal… was the father of those who live in tents and raise livestock… Jubal… was the father of all who play the harp and flute… Tubal-Cain… forged all kinds of tools out of bronze and iron (Genesis 4:20-22). With these words, Moses characterized Cain's family as very sophisticated. Jabal was no mere shepherd; he invented animal husbandry.  Jubal invented music, and Tubal-Cain invented sophisticated metallurgy. It would have been very difficult for Israelites in Moses' day to have missed this connection. Compared to the simple, nomadic lifestyles of Israel's patriarchs, the culture of Egypt was highly sophisticated. Moses described the sinful line of Cain in this way to confirm the association he wanted his readers to make between Cain's lineage and the Egyptians. So we see that in at least six ways Moses drew connections between the Cainite genealogy and the Egyptians. His descriptions of city building, naming cities, pride in murder, violence against children, divine protection, and cultural sophistication in Cain's family were designed to create these connections. After Noah was 500 years old, he became the father of Shem, Ham and Japheth (Genesis 5:32). The name Shem was particularly important to Moses because Shem was the ancestor of Israel. In modern languages we derive the term "Semitic" or "Semite" from the name Shem. Although other nations also came from the seed of Shem, the Israelites were God's special chosen people, and they were from among the descendants of Shem. So, in this simple biological sense, Moses connected his Israelite readers with Seth's genealogy. Enoch walked with God; then he was no more (Genesis 5:24). In the Hebrew Bible, the expression translated "walked with God" only occurs with reference to Enoch and Noah. Yet, time and again, especially in the book of Deuteronomy, Moses told Israel that they were to be like Enoch by walking in the ways of Yahweh. In this way, the faithful Israelites following Moses found another point of identification with the line of Seth. It was their goal to be like Enoch. A third connection between Seth's genealogy and Israel's experience appears in Moses' emphasis on the numbers of Sethites. In Seth's genealogy we learn that his descendants became quite numerous. Moses brought out the numerical increase of Seth's family by repeating the fact that "other sons and daughters" were born to the Sethites. In fact he wrote this comment nine times in Genesis 5. This emphasis on numbers of people in Seth's line was significant for Moses' Israelite readers because they knew that God had greatly blessed them numerically while in Egypt and during the Exodus. In the fourth place, Moses also stressed the long lives that many Sethites enjoyed in order to connect Israel with the Sethites. For example, we all know that Seth's descendant Methuselah lived longer than anyone in biblical history. According to Genesis 5:27 he lived 969 years. Many other Sethites lived long lives as well. Moses' attention to the long lives of Seth's line was important because, as the law of Moses indicates, long life in the Land of Promise was to be the goal of the faithful in Israel. By pointing out the long lives of Seth's descendants, Moses drew another connection between the Sethites and Israel. So it is that Moses wrote about the early violence and hope of deliverance in the primeval history in order to draw firm associations with his contemporary world. Cain and his descendants were to be connected with the Egyptians who inflicted violence on Israel. And Abel, Seth, and Seth's descendants were to be connected with the Israelites who were victims of Egyptian violence. These associations were at the heart of Moses' strategy in this portion of his history. Now that we have seen how Moses handled his record of early violence and hope, we should turn briefly to Genesis 6:1-8, later violence and the hope of deliverance. We have already noted that the Nephilim were mighty warriors, well-known for their exploits. But notice that Moses made an important comment about the Nephilim. He said that the Nephilim existed on the earth in the primeval days "and also afterward." The land we explored devours those living in it… We saw the Nephilim there… We seemed like grasshoppers in our own eyes, and we looked the same to them (Numbers 13:32-33). The unfaithful spies reported that the land of Canaan was a terribly violent and threatening place, and that among the inhabitants of Canaan were Nephilim, vicious warriors who struck fear into their hearts. Unfortunately, this report led the first generation following Moses to turn away from God's call to conquest. And God was so disturbed by this lack of faith that he sent the Israelites into the wilderness to wander aimlessly until the first generation had died off and a new generation was prepared to take up the cause of conquest. In this light we can understand how Moses drew another strong connection between this portion of his primeval history and the experience of Israel. He wanted his Israelite readers to associate the primeval Nephilim of Genesis 6 with the terrifying Nephilim warriors of Canaan. In this way, the violence and hope of deliverance in Genesis 6:1-8 spoke directly to the threat of violence in the conquest of Canaan. So far in our examination of the original meaning of Genesis 4:1–6:8 we have seen the primeval characters associated with people in Israel's contemporary experience. Now we should ask a second question. What were the implications of these associations for the people of Israel as they followed Moses toward the Promised Land? To understand the heart of Moses' message to Israel, we need to remember the basic scenario that appears twice in this material. You will recall that Genesis 4:1–6:8 contains two scenarios of violence and hope of deliverance. Chapter 4:1–5:32 focused on the violence of Cain and his descendants. Yet, 5:29-32 mention Noah in order to indicate that deliverance would come through him. In much the same way, just as Genesis 6:1-8 reports the violence of the sons of God and the Nephilim, Genesis 6:8 mentions Noah once again to indicate that God intended to deliver from these threats as well. For the Israelites following Moses, these scenarios should have been good news. They revealed what God had already done for them, and also what he was about to do for them. On the one hand, just as God had used Noah to deliver Israel's ancestors from the Cainites, he had already used Moses to deliver the Israelites from the Egyptians. On the other hand, just as God had used Noah to bring deliverance from the primeval Nephilim, he was about to use Moses to deliver the Israelites as they faced the threat of Nephilim in the land of Canaan. Now that we have seen the structure and the original meaning of Genesis 4:1–6:8, we should turn to our final topic: modern application. How does the New Testament teach us to apply this portion of Moses' primeval history to our modern lives? In our usual fashion, we will explore how the New Testament elaborates on these themes in terms of the three stages of Christ's kingdom: first, the inauguration of the kingdom which took place when Christ first came to this earth; second, the continuation of the kingdom which extends throughout the history of the church; and third, the consummation of the kingdom when Christ returns in glory and brings the new heavens and new earth. These phases of Christ's kingdom should be explored separately to reach a fuller understanding of the ways violence and deliverance apply to Christians today. Let's look first at the motifs of violence and hope of deliverance in the inauguration of the kingdom. The inauguration of the kingdom in Christ's first coming recalls the world of violence in the primeval history in at least two ways: first, we see connections with the violence Jesus suffered while on earth; and second, we find connections with the deliverance which Jesus brought to his people. Let's look first at the suffering Jesus experienced in his first coming. Anyone familiar with the life of Jesus knows that Jesus suffered persecution from the world in many ways. As he ministered to the downtrodden, he bore their grief and pain. Yet, there can be no doubt that according to the New Testament the climax of violence perpetrated against Christ was his death on the cross. By suffering one of the worst forms of execution known in his day, Jesus actually experienced a fate worse than that suffered by the righteous in the primeval times. You have come to God, the judge of all men, to the spirits of righteous men made perfect, to Jesus the mediator of a new covenant, and to the sprinkled blood that speaks a better word than the blood of Abel (Hebrews 12:23-24). The allusion here to Moses' primeval history is clear. Christ's shed blood spoke a better or greater word than the blood of Abel. That is to say, Christ's death was even more significant in the eyes of God than the death of Abel was. Jesus' death was no ordinary event. His death atoned for the sins of his people because he suffered in the place of everyone who believes in him. But beyond this, Christ's death stirred the just wrath of God more greatly than had the blood of Abel. In this light, when we read Moses' account of the violence of the primeval history, we should not simply take note of why Moses wrote these chapters for his original Israelite readers. From the New Testament perspective, we should also see that the violence inflicted on the righteous in the primeval history anticipated the suffering of Christ in the inauguration of the kingdom. Now that we have seen how the New Testament draws connections between the primeval world of violence and Christ's suffering, we should turn to a second way the inauguration of the kingdom touches this portion of Genesis. A significant link also occurs in the hope of deliverance Jesus brought to the world. Blessed are those who are persecuted because of righteousness, for theirs is the kingdom of heaven. Blessed are you when people insult you, persecute you and falsely say all kinds of evil against you because of me. Rejoice and be glad, because great is your reward in heaven (Matthew 5:10-12). These Beatitudes reveal that one of the central concerns of Jesus' teaching ministry was to bring the hopeful message that God had not deserted his people. Jesus encouraged his followers to have hope that God would one day deliver them from all suffering. … by his death he might destroy him who holds the power of death — that is, the devil — and free those who all their lives were held in slavery by their fear of death (Hebrews 2:14-15). So we see that the themes of violence and hope of deliverance readily apply to the inauguration of the kingdom in Christ. As Moses wrote to acknowledge the threats against Israel and to teach Israel about the power of God to deliver, the New Testament reveals that Christ came to suffer violence and to bring deliverance for his people from the power of wickedness in the world. Now that we have seen some of the ways that the New Testament links Jesus' first coming to the primeval history, we should also notice how the New Testament applies this portion of primeval history to the continuation of the kingdom, the time between the first and second comings of Christ. There are at least two ways in which the New Testament explains how the continuation of the kingdom touches on the themes of Genesis 4:1–6:8, and these references provide basic guidance as we apply this portion of Scripture to the Christian church. On the one hand, the New Testament teaches that we should expect a continuation of violence against the people of God, and on the other hand we are encouraged to endure these difficult times by continuing to have faith in Christ for deliverance. Consider first, the fact that we should expect violence against Christ's followers. I am sending you prophets and wise men and teachers. Some of them you will kill and crucify; others you will flog in your synagogues and pursue from town to town. And so upon you will come all the righteous blood that has been shed on earth, from the blood of righteous Abel to the blood of Zechariah son of Berekiah (Matthew 23:34-35). Jesus predicted that when he sent followers into the world, they would be severely persecuted. But notice also how Jesus connected this prediction with the primeval history. He said that the violence to come against his followers would continue the pattern of violence that reached all the way back to the blood of righteous Abel whom Cain murdered. By faith Abel offered God a better sacrifice than Cain did. By faith he was commended as a righteous man, when God spoke well of his offerings. And by faith he still speaks, even though he is dead (Matthew 11:4). The main idea in this passage is that followers of Christ throughout the ages must follow the example of Abel. Although Abel's righteousness brought him trouble from his wicked brother, Abel stands as an example of faithfulness for all believers to follow even in our day. So we see that the themes of violence and deliverance in the primeval history also apply to followers of Christ during the continuation of the kingdom. On one side, we should be ready to suffer opposition and violence in our age. But on the other side, as we endure these times of hardship, we will overcome only as we are faithful and hope that Christ will deliver us one day. Having seen how the themes of violence and deliverance fit within the inauguration and continuation of the kingdom, we should turn to the final stage of the kingdom of Christ, his second coming. Put simply, the New Testament teaches that at the return of Christ we will see an end of violence against the people of God and we will experience a final deliverance to a world of everlasting blessing. Then I saw a new heaven and a new earth, for the first heaven and the first earth had passed away… And I heard a loud voice from the throne saying… "God himself will be with them and be their God. He will wipe every tear from their eyes. There will be no more death or mourning or crying or pain, for the old order of things has passed away." He who was seated on the throne said, "I am making everything new!" (Revelation 21:1-5). Then the angel showed me the river of the water of life, as clear as crystal, flowing from the throne of God and of the Lamb down the middle of the great street of the city. On each side of the river stood the tree of life, bearing twelve crops of fruit, yielding its fruit every month. And the leaves of the tree are for the healing of the nations (Revelation 22:1-2). This hope of final deliverance in the second coming of Christ appears throughout the New Testament. It expresses the pinnacle of Christian belief. We long for the day when the trials and difficulties of this world will be replaced by the life-giving wonders of the world to come. Suffering will be exchanged for joy. Struggle will be exchanged for victory. And death will be exchanged for everlasting life. So we see that just as Moses wrote about the primeval world of violence to encourage Israel to move forward toward Canaan, the New Testament teaches us to yearn for the new world to come at the consummation. When Christ returns, all who have trusted him will see an end to violence, and they will inherit a full and glorious deliverance into an eternal world of salvation. 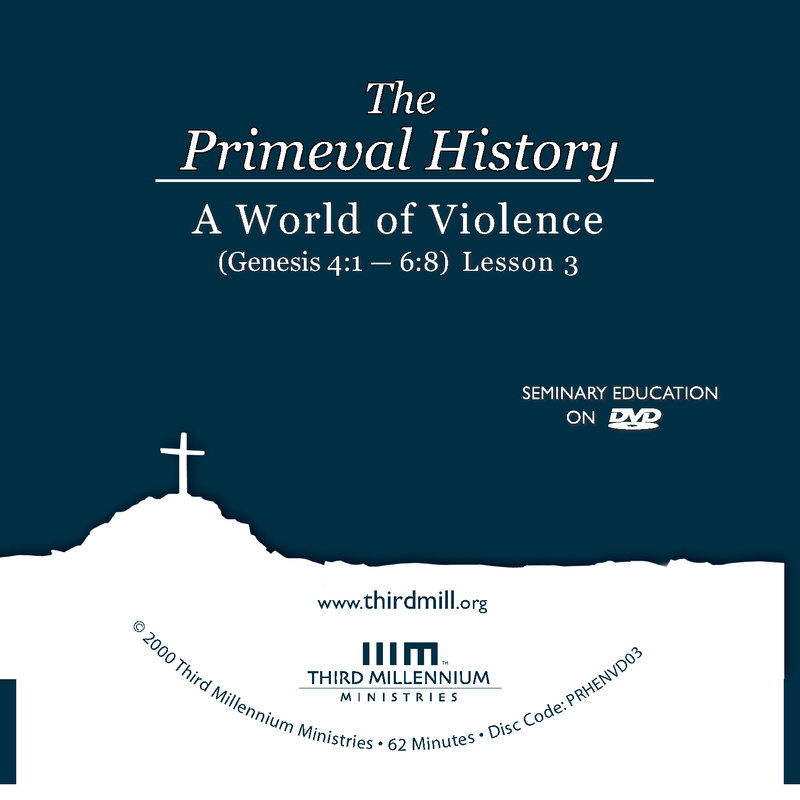 In this lesson we have looked at several aspects of the primeval world of violence described in Genesis 4:1–6:8. We have noted the structure of this portion of Genesis, and we have also seen how Moses originally wrote this material to encourage the Israelites who followed him toward Canaan. And we have also learned that as Christians we must apply this portion of the primeval history to our New Testament faith. When we look at this portion of Genesis as Moses originally intended it for Israel, it becomes much more than a mere record of the past. Instead, we can see that as God delivered from violence in the primeval world, and as he later delivered Israel in Moses' day, we can increase our hope that Christ will one day deliver us from this world of violence as well.